Strengthen up your Shoulder muscles with this amazing regular physical exercise exercise. This is easy to do routine exercise. This exercise is for the beginners who can't still do a normal Push Up. This generally targets your arms, chest, and core, serving as one of the most efficient bodyweight movements you can do. 1. 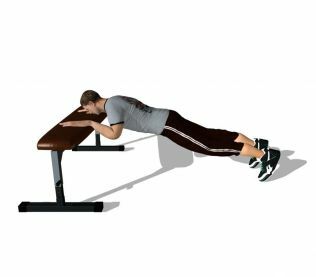 Get a flat bench and lean towards it - putting you in a push up position with your upper body leaning on the bench instead. 2. Now, lower yourself until your chest almost touches the bench. Then, using your chest muscles, press your upper body back up to the starting position and squeeze your chest.